Cerulean Villa offers the amenities and activities of a 5-star resort. Only they’re yours, exclusively. From the moment you touch down at the airport where your staff is awaiting your arrival, throughout every facet of your Cerulean getaway, you will notice an uncompromising attention to detail and the guest experience. 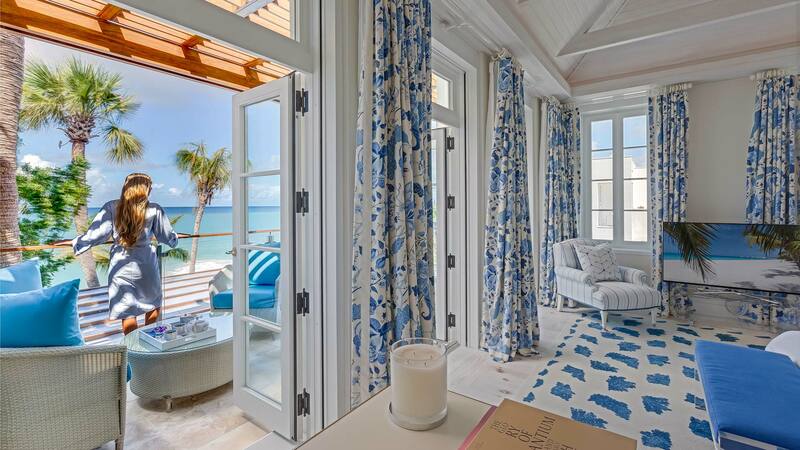 Our goal is to make your Anguilla getaway a truly transformative escape. A staff of 18 stands ready to anticipate and thoughtfully provide to your every need. And at every turn, you’ll see continual reminders of just how much thought has gone into making sure you don’t have to worry about a thing once you arrive. Do you prefer your laundry hung a certain way? Have a favorite cocktail that’s best when prepared with a special touch, or most enjoyable at a particular time? Your staff has been expertly trained to embrace every nuance that will make the Cerulean your benchmark for truly enjoyable getaways. We also believe that the billing process should be equally as guest-focused. That's why we offer two options for our guests. Cerulean á la Carte allows guests to plan their villa vacation based on specific needs and the size of their party, with a bill for services at checkout. Cerulean Experience our premium package, includes the pinnacle of luxury in dining, spa treatments and amenities for your entire party — a fully inclusive experience — all at one convenient upfront price. This package is ideal for large parties who wish to experience the ultimate villa vacation.